Hunter Lift Ltd. specializes in the design, engineering, and manufacture of lifting devices, primarily for all industries. We design and engineer full below-the-hook lifting systems, including automatic, hydraulic, pneumatic and motorized lifting equipment, J-hooks, spreader beams, C-hooks, and mobile lifters. Working with the many different industries, Hunter Lift Ltd. produces a wide range of custom manufactured mobile crane attachments for large fork trucks and boom trucks. We design for acceleration concerns when used with large wheeled machinery and can produce equipment for lifting 5 to 500 tons. 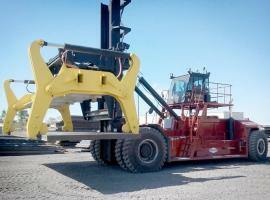 Hunter Lift designs and manufactures many different types of Material Handling Equipment. Lifting equipment repairs, recertification, and reverse engineering are an important part of Hunter Lift's value to its' customers. We are pleased to provide our expertise in these areas, saving time and money in getting the lifting equipment back in service. The US steel market has been going through a monumental slump. On the face of it the fact looks simple enough. But those who dig deeper unearth a startling truth. The demand for steel in the nation has steadily increased over the past few years. More foreign investment, recovery from recession and rising demand of consumer goods have necessitated increased use of steel equipment and consumption of larger volumes of raw steel. And with a renewed focus on investing in United States infrastructure by repairing roads and bridges, the outlook for steel should look even better. So why has US manufactured steel stagnated at a utilization of only 70% of production capacity? Countries like China have a huge advantage over the United States. First and foremost their labor is inexpensive. Even with wage revisions the minimum hourly rate is far below what US laws mandate. Moreover their steel industry is almost unfairly subsidized. 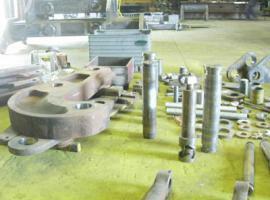 This allows them to export steel equipment and raw steel at a fraction of the cost of the United States. The surplus pumped by the Chinese juggernaut has flooded the US market. This cheap steel has been serving the needs of manufacturers, pushing home based producers to the back-burner. Illegal imports have been another cause of worry. The free US market has been unable to put a stop on the inflow of foreign steel far beyond the accepted quota. This has made matters worse. But 2016 leading into 2017 brings good news. The Trump election led to an unprecedented spike in projected steel share prices across the Dow Jones index. And the focus on using domestic steel for infrastructure will likely continue this upward trend. The Chinese economy has slowed down. Recession is creeping to claim casualties and a preponderance of cheap steel is the very first one. By 2020 China is expected to cut down its steel production by at least 20% to 30%. Without the glut of foreign steel chocking the US market, home based producers will breathe easy. Globally a bullish market is calling for rising prices of steel and metal. The manufacturers who depended on imports will see less value in paying for shipping and assembly with the original margin slimming down. The new government will continue down its path of protecting American interests. President Trump and his team have already insisted that pipe manufacturers use US produced steel to complete key projects in Dakota. This bodes well for steel prices in the country. Finally the trillion dollar infrastructure improvement plan will provide impetus for strengthening trade and will make US a prime target for reshoring. The long term effect of this strategic move is bound to be growing steel demand and this time without cheap imports eating into the market share. Steel producers are optimistic. 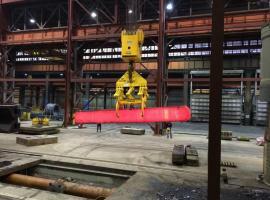 And Hunter Lift – a premium provider of below the hook lifting devices and mobile crane attachments – is fully equipped to serve US steel manufacturers and other home based producers during this boom in the economy. We look forward to seeing how the market plays out in coming months and years. 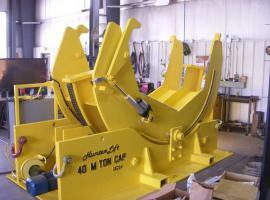 At Hunter Lift, we specialize in quality engineered and manufactured products for below the hook lifting devices, tongs, and grabs, and material handling solutions for all types of industries.